The recent dishonest attacks on Michael Weiss are symptomatic of an ugly failure in political responses to the Syrian slaughter. We have seen a popular revolt by the Syrian people ignored, shunned, distorted, and denied. We have seen a widespread betrayal of professed principles by figures who on other causes speak loudly of solidarity, who lay claim to the inheritance of past struggles for liberty, and who present themselves as being at the forefront of today's struggles against injustice. Michael Weiss has been a stalwart supporter of the Syrian cause through his vital journalism and analysis. 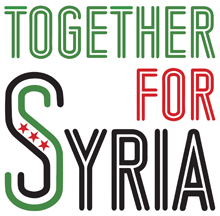 Michael wrote of, spoke up for, and firmly stood by the Syrian people. He did this when others turned a blind eye, or even worse, betrayed Syrians suffering genocidal attacks by the Assad regime and its allies. The personal attack on Michael cannot be understood if analysed as a single incident. 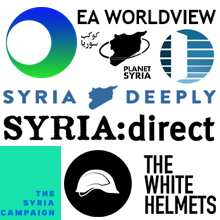 Sadly, it is part of a series of attacks on supporters of the Syrian people, such as the recent attacks from both left and right on the Jo Cox Fund for its support of the White Helmets, the rescue volunteers of Syria Civil Defence. This political failure seen across left and right reflects a failure of society to recognise and respond to human suffering. In the face of such cruelty we will treasure our friends all the more. I have seen the relentless attacks on Michael Weiss. It's totally unacceptable. I will continue to fight for Michael and the Syrian people. And I will wage war against the tyrants who attack the champions of Democracy and Humanity, such as Michael Weiss.